Sarah Blackman, Hex, Fiction Collective 2, 2016. 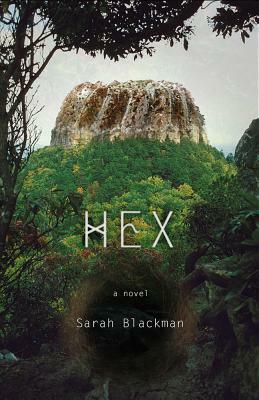 The debut novel by Sarah Blackman (award-winning author of Mother Box and Other Tales) Hex explores the ways one woman uses language and stories to rebuild her own shattered sense of self. “The moon is a ball that was thrown up against the sky a long time ago,” Alice is told; maybe it was, she thinks, and maybe not. 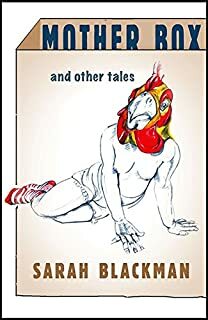 She proves to be a perfectly precocious narrator, eager to sniff out the tiny tales attached to each person, place, and thing that crosses her path. She travels through the unmarked map of her life, trying to make sense of the changes happening inside her and around her that grow as high and prickly as a bramble hedge. Blackman notes Alice’s discoveries, carefully gilding the filigree of a world that is both imaginary and immediate. Hex is playful and self-reflective, mixing contemporary culture with folklore, with shades of Snow White, Rapunzel, and the Snow Queen coming sometimes in a single sentence. Elsewhere, the Frog Prince butts up against Alice In Wonderland, and a miasma of images delight and distract. Though its dense symbolism can be disorienting, the novel’s literary craft is mostly strong and engaging, and the its quirkiness will appeal to fans of Karen Russell, Aimee Bender, and Jeffrey Eugenides. Sarah Blackman, Mother Box and Other Tales, Fiction Collective 2, 2013.